What is the purpose of discipleship? 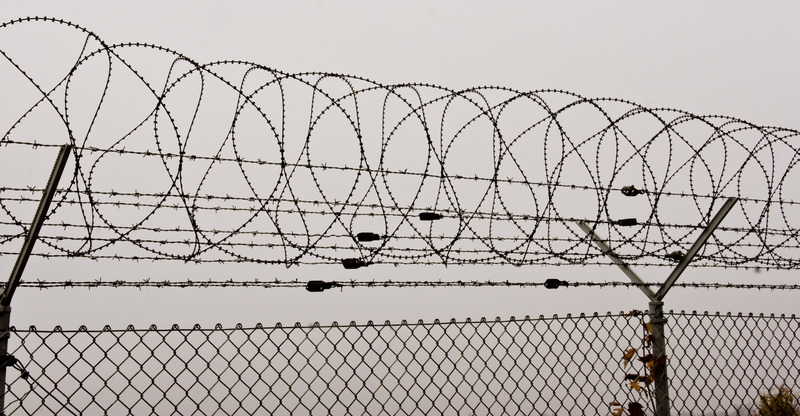 What is the point behind the disciplines, the virtues, ethical reform, etc? Hans Urs von Balthasar has a decisive answer that I believe sums up the biblical paradigm. In his Theo Drama IV (in section III, C, 3, c), Balthasar explains that the purpose of discipleship is to be united with Christ’s life, passion, and resurrection; and to, as it were, have it “reproduced” in one’s own life. This unity with Christ is accomplished by the gift of the Holy Spirit, who as Balthasar says, “recapitulates the entire economy of salvation” in the believer, “since he is the Spirit of the whole historical and pneumatic Christ, crucified and risen”. I find this to be richly biblical, especially in light of Romans 6. Paul says in this chapter, that in baptism, by the Spirit, the believer is immersed “into [Christ’s] death” (v. 3), “in order that, just as Christ was raised from the dead through the glory of the Father, we too may live a new life” (v. 4). The purpose of salvation then is to become united with the sufferings and death of Christ such that they become one’s own. Paul picks this motif back up again two chapters later in Romans 8, saying that this union or participation in Christ involves sharing “in his sufferings in order that we may also share in his glory” (v. 17). In salvation then, the believer is united to Christ’s passion, that by the Spirit, it might be born in his own life: death, suffering, resurrection, glory. This is the trajectory of the person united to Christ’s passion. Paul, speaking of his own suffering, says in 2 Corinthians 4:10, “We always carry around in our body the death of Jesus, so that the life of Jesus may also be revealed in our body”. Paul saw suffering as a way of life, uniting this suffering to Christ’s own suffering by the Spirit, that he might rise with and in Christ’s own (eschatological) resurrection. So then, discipleship is unity with Christ’s passion; sharing in his sufferings; rising in his resurrection. Balthasar aptly calls this process the “paradox of Christian discipleship”, because it goes against grain of the normal human experience: it is only when one “dies to self”, “takes up his cross”, that he experiences the life of Christ. It is only when one suffers, and unites that suffering Christ’s, that he partakes more and more in his life by the Spirit. The life in union with Christ involves suffering and rising with Christ! Following on the heels from my last post, I thought I’d include a bit of commentary from Douglas Moo on the issue of assurance and final perseverance. Douglas Moo makes the argument that in fact the issue of assurance and perseverance runs throughout Romans 5-8 in the form of a chiasm. Both [Romans] 5:1-11 and 8:18-39 affirm, against the threat of tribulation and suffering, the certainty of the Christian’s final salvation because of God’s love, the work of Christ, and the ministry of the Holy Spirit. This theme, the “hope of sharing in God’s glory” (cf. 5:2 and 8:18, 30), “brackets” all of chapters 5-8. Assurance of glory is, then, the overarching theme in this second major section of Romans (Romans 5-8). The verdict of justification, which Jews relegated to the day of judgment, has, Paul proclaims, already been rendered over the person who believes in Jesus. But can that verdict, “hidden” to the senses, guarantee that one will be delivered from God’s wrath when it is poured out in judgment? Yes, affirms Paul. Nothing can stand in its way: not death (5:12-21), not sin (chap. 6), not the law (chap. 7) — nothing! (chap. 8). What God has begun, having justified and reconciled us, he will bring to a triumphant conclusion, and save us from wrath. RC Sproul, in his commentary on Romans, speaks on what he calls “judicial abandonment” from Romans 1:18-32. 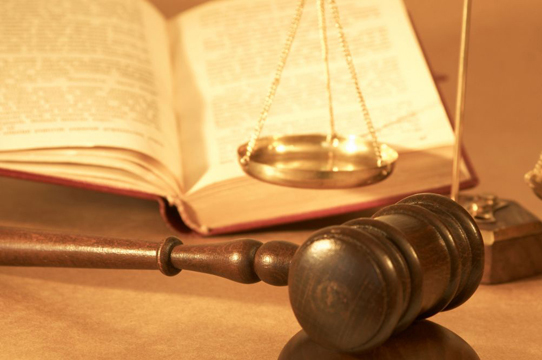 It is an explanation of just exactly how God justly judges people. Three times in this section [of Romans 1:18-32] we read about human beings being given up by God. They are given up to their vile passions, the lust of the flesh, and their reprobate mind. When God judges people according to the standard of his righteousness, he is declaring that he will not strive with mankind forever. We hear all the time about God’s infinite mercy. I cringe when I hear it. God’s mercy is infinite insofar as it is mercy bestowed upon us by a Being who is infinite, but when the term infinite is used to describe his mercy rather than his person, I have problems with it because the Bible makes very clear that there is a limit to God’s mercy. There is a limit to his grace, and he is determined not to pour out his mercy on impenitent people forever. There is a time, as the Old Testament repeatedly reports, particularly in the book of the prophet Jeremiah, that God stops being gracious with people, and he gives them over to sin. The worst thing that can happen to sinners is to be allowed to go on sinning without any divine restraints. At the end of the New Testament, in the book of Revelation when the description of the last judgment is set forth, God says, “He who is unjust, let him be unjust still; he who is filthy, let him be filthy still” (Rev 22:11). God gives people over to what they want. He abandons them to their sinful impulses and removes his restraints, saying in essence, “If you want to sin, go ahead and sin.” This is what theologians call “judicial abandonment”. God, in dispensing judgment, abandons the impenitent sinner forever. Romans is unapologetic about this concept of judicial abandonment, arguing that it is right and just for God to abandon sinners to the desires and lusts of their sin, thus allowing them to run, not walk, to hell. God’s grace is removed, and the flood gates are opened, so to speak. Without this divine restraint, as Sproul tells it, we as sinners will forever love our sin more than God, and choose hell without exception. And Paul tells us in Romans, it is right for God to do this. It is God’s righteous judgment on wicked. Given this context, grace is a special gift of God, above and apart from what we actually deserve. When God saves sinners in Christ, he is bypassing what we actually deserve, and instead gives Christ the abandonment. He gives Christ the wrath. And he turns our hearts to him. This is the context of the gospel. And Paul wants us to make sure that although hell should be and would be something we all go to, God chooses to save some. For more on this, you can read more on the nature of hell and condemnation here. In the latter half of Romans 1, Paul presents a very intriguing argument for the universal depravity of man. He states that God has provided the gospel to those who believe (Rom 1:16), because the wrath of God is revealed against all men for their ungodliness and unrighteousness (Rom 1:18). In other words, because we are so sinful and wicked, God has provided a means for salvation. If he had not, his wrath would remain forever upon us. In Romans 1:18-32, Paul draws out the nature of this wickedness that merits God’s wrath. It’s very interesting to see the paradoxical manner in which he describes our sin. First, Paul says that our sin is willful and knowing rebellion against God. In Romans 1:20-21, Paul says that though we know that God exists, we willingly and purposefully rebel against him. He also tells us in Romans 1:32 that we know that those who act wickedly deserve God’s wrath. So sin, in this vein, is a meditated choice to rebel against God. But while Paul does describe sin as willful rebellion, in this very same passage, he also describes our sin as uncontrollable “lusts” brought on by our “hearts of impurity”, “dishonorable passions” and “debased minds” (Rom 1:24, 26, 28). Paul finishes by saying that if God left us in our sin, our sinful desires would enslave us, ultimately sending us to hell. So in this sense then, though we willfully disobey God (Rom 1:20-21), we are also uncontrollably bound in sin. Our sinful desires so control us that we become “filled with all manner of unrighteousness” (Rom 1:29). In this way, sin is both something we choose, and something that controls us. Sin is both high-handed and willful rebellion, and all at the same time, a slave master who causes us to sin. In sin, we are both hopelessly out of control and shrewdly calculating; victimized yet responsible. All sin is simultaneously pitiable slavery and overt rebelliousness or selfishness. This is a paradox to be sure, but one that is the very essence of all sinful habits. If you deny the out-of-control nature of [sin], as some Christians have done, then you assume that everyone would have the power to change himself. Change would be easy. You would simply say, “Stop it. You got yourself into it, and you can get yourself out”. There would never be a sense of helplessness or a desperate need for both redemption and power through Jesus. So this cannot be our position. For Welch then, sin must be personal and purposeful, and enslaving and controlling. And certainly, it is biblical. We are slaves to our sin (John 8:44). Yet, our sin is not divorced from our will. We choose to disobey. We want to disobey (Joshua 24:15). More than this, though, God addresses our confusing sin problem with a complex gospel. In Christ, God provides an atonement through which all of our individual, chosen sins can be forgiven. But also, by the work of the Holy Spirit, God washes us through regeneration, replacing our sinful heart with a new heart able and willing to obey God. No longer do we have to obey the taskmaster of sin, but we are empowered to obey God afresh. And no longer do we have a record stained with sin, but a clean one filled up with Christ’s righteousness. We have a paradoxical sin problem. But we also have a multi-faceted gospel solution. And we can be made new in Christ. 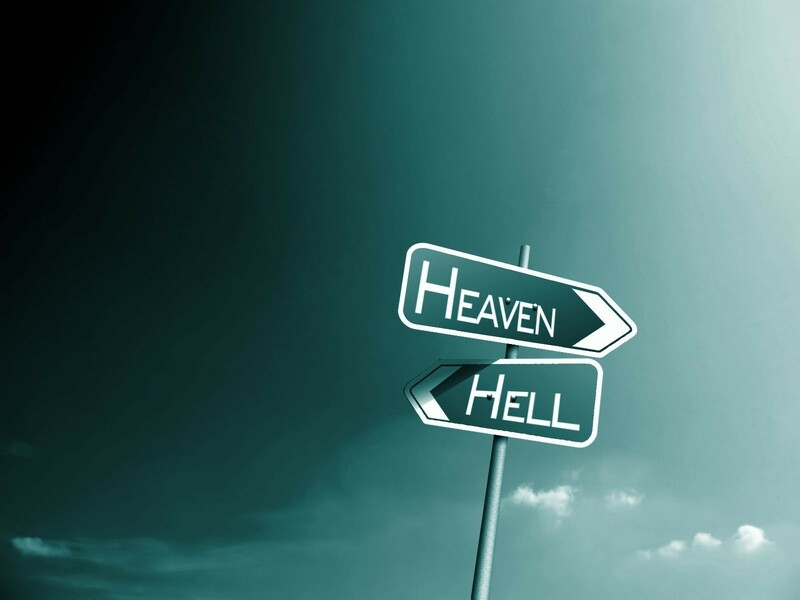 Does God send people to hell, or do they send themselves there? CS Lewis is famous for saying, “I willingly believe that the damned are, in one sense, successful, rebels to the end; that the doors of hell are locked on the inside”. Lewis believes this truth, that “hell is locked from the inside”, because of the fact that “man has free will and that all gifts to him are therefore two-edged. From these premises it follows directly that the Divine labour to redeem the world cannot be certain of succeeding as regards every individual soul”¹. Of course, implicit in this statement is not just that God doesn’t lock the door from the outside. What Lewis is really saying is that God really wishes that every person could be saved, but his purposes are foiled by the free will of man. And so, in Lewis’s framework, man’s choice wins supreme. Is Lewis right in saying this? I like Wilson’s points here. What he is trying to point out is that, when we think over this issue, God’s will must be taken into account. Because of course, God is sovereign. He is in control. And so, if men go to hell, and if God is sovereign, it must be true that it is God’s will (however permissive that will may be) that those men go to hell. In this way, God’s will, as opposed to Lewis, is that not every soul will be saved. Of course with this whole conversation, questions of predestination, sovereignty, free will, and sin are necessarily brought up. And we could wade these doctrines to see what conclusion we would come up with. But we must, more than anything, understand how the scriptures address hell and condemnation. And I think biblically, the answer to this complicated questions is yes: God sends people to hell and people send themselves there. What I mean is that biblically, the responsibility is given to both parties. And I believe that this testimony is clear from Romans 1. Paul tells us in Romans 1:24-32 that God judges guilty sinners by “giving them up”. Clearly then, God is active in condemnation. But, also, notice just exactly what God is giving them up to. Paul says that God is giving the sinner up to “the lusts of their hearts” and their “dishonorable passions” and their “debased minds” (vs. 24, 26, 28). In other words, God is not forcing the sinner into condemnation. Rather, he is leaving them to the sin they love so much. He is allowing them, permitting them, to choose what their hearts already want. And so, while God is active, he certainly isn’t twisting anyone’s arm. He is judging yes, but he is doing it by cosigning them to the same end they are passionately pursuing. He is nudging them the very direction they were already going. And so, I think that both man and God are active in condemnation. Moo here demonstrates that, for Paul, and for the rest of the Bible, God’s sovereignty over those going to hell by no means diminishes personal responsibility. But also, personal responsibility doesn’t cancel out the sovereign activity of God in justly condemning man. God punishes the sinner, thus resulting in that person going to hell. But also, the sinner willfully and even knowingly rebels against God, thus sending themselves to hell. They want to go there. And in fact, I believe Romans 1:18-32 describes all of us apart from God’s gracious and effectual calling of sinners to himself. How else could it be? Without God’s intervening grace by which he opens blind eyes, gives a new heart, and accredits the merits of Christ to us, we are but sinners walking into “ever-increasing sin”. There is much mystery to this, especially when we consider how free will and sovereignty fits into it. However, it is certainly in Romans 1. And it is certainly in the rest of the Bible. And therefore, we must trust God with the mystery, and revel in the fact that we are sinners saved by grace, contributing nothing to God but sin and rebellion. So then, does God send people to hell, or do they send themselves there? Where is the Gospel in the Book of Romans? Many see the book of Romans as a long presentation of the gospel as the New Testament explains it. There are many people who will reference the Romans Road, and explain that this great epistle is one large gospel-presentation. It is Paul’s largest evangelistic tract, and it tells us his gospel outline to a tee. However, while it’s true that there are many essential truths pertinent to the gospel in the book of Romans — the sinfulness of man, justification by faith, reconciliation, regeneration — these are not the message of the gospel per se. So while I would say that the gospel is covered in Romans, the outline is not the gospel itself. Actually, most of the book of Romans is an explanation of how the message of the gospel transforms believers in it. It is not so much a gospel presentation, but an exploration of how the gospel saves. In other words, how does the content of the gospel change us from the inside out? If we pay attention, this is in fact Paul’s thesis in Romans 1:16, that “the gospel…is the power of God for salvation to everyone who believes”. He will then go on to explain just how the gospel is the power of God to save. Is this surprising? Hopefully you can see it right there in Romans 1:16! What this means though is that we have to distinguish the content of the gospel with benefits of the gospel. We have to distinguish between the gospel message and what the gospel does. 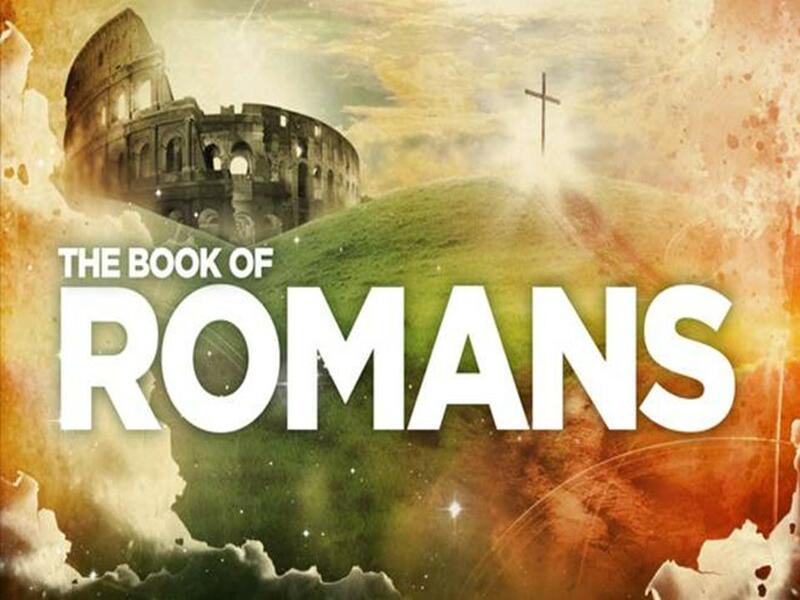 Paul explains to us the benefits of the gospel in Romans 1:17 through chapter 11. But it is only in Romans 1:3-4 that Paul explicitly lays out the content of the gospel. And what Paul tells us in verses 3-4 that the specific message of the gospel concerns God’s “Son, who was descended from David according to the flesh, and was declared to be the Son of God in power according to the Spirit of holiness by his resurrection”. Here we find that the content of the gospel is not about personal faith or conversion whatsoever. Neither is the gospel about you or me. Rather, the content of the gospel is an objective message about what Jesus has accomplished in the cross. As Douglas Moo says: Romans 1:3-4 “introduces Christ as the content of the gospel” (1). What this means is that Jesus’ actions in his incarnation, life, death, resurrection, and exaltation constitute the message of the gospel. Douglas Moo expounds on these two verses, saying that Romans 1:3-4 “depict…two stages in [Christ’s] existence” (2). First, Jesus humbled himself and became a man, bearing the sin burden of mankind in his life and death. But second, Christ rose from the dead, and was declared to be the Son of God through his resurrection. Moo continues by saying that Christ’s resurrection marked a “new era inaugurated by Christ’s work of redemption…[where] he became the ‘Son-of-God-in-power'” (3). What he means is that because Jesus rose from the dead, he gained power over sin and death, thus entering in a new state of existence. And he became King over death, Victor over sin, willing and able to “dispense salvation to all those would believe in him” (4). This is the message of the gospel: that Jesus humbled himself to the point of death, “even death on a cross” (Phil 2:8), and he rose from the dead, victorious over sin and death, and is now King of kings, Ruler of the cosmos, “first born from the dead” (Col 1:18). And the result of this message of that he is able to powerfully save any and all who would believe in him (Rom 1:16). We cannot and must not muddle “the gospel of God” (Rom 1:2) with “salvation to all who believe” (Rom 1:16). Jesus himself is the content of the gospel. And we, as sinners, lost and hopeless in our fallenness, are invited to benefit through faith in his accomplishment. Scot McKnight rightly says that many “have created a ‘salvation culture’ and mistakenly assume it [as] a ‘gospel culture'” (5). Salvation comes from gospel, but is not the same as gospel. The gospel in its most basic form concerns God’s Son (Rom 1:3a), and salvation is a benefit of that very gospel. It is very easy for Christians to remove Christ from their Christianity. It is very easy for us to get caught up in what we as a church, or a community, or a family, are doing for God, rather than being founded on what Jesus has done for us. But the simple fact is that when we take Jesus out of the center of all that we do, we have established a Christ-less Christianity, not a Christ-centered one. Paul, when he wrote his letter to the believers in Corinth, told them that that he “decided to know nothing except Jesus Christ and him crucified.” (1 Cor 2:2). What this means is that Paul resolved to center his teaching, preaching, discipling, mentoring, and living around what Jesus had accomplished in his death and resurrection. His message and life was distinctly gospel-centered, and he preached the gospel to both unbelievers and believers. When Paul wrote the believers in Rome, he told them that he was “eager to preach the gospel” to them (Rom 1:15). Why? Because it was the “power of God unto salvation to everyone who believes” (Rom 1:16), and because it was “able to strengthen” believers (Rom 16:25). Paul even went so far to say that all of God’s promises are fulfilled, finished in Christ (2 Cor 1:20, Rom 10:4). For that, our teaching and practice as believers should always be centered on what Jesus has done for undeserving sinners. Jesus Christ is the righteous One who obeys God’s perfect standards (Mt 5:17). Jesus Christ is the beloved Son on whom all of God’s favor rests (Mt 3:17). Jesus Christ is the conquerer of all evil and sin and death (1 Cor 15:54-57). He is the one who defeats the devil and his schemes (Mt 4:1-11). He is the one who establishes God’s kingdom on earth (Lk 17:21). Jesus is all of God’s promises encapsulated. More than that, he is God himself incarnated (John 1)! And why does Jesus do all this? Why does he go to the cross? Why does he rise from the dead? He does it to accomplish for sinful men and women what we could not accomplish for ourselves. Jesus does everything to “fulfill all righteousness” (Mt 3:15) for sinners who are by nature not righteous. We are all sinners. We cannot commit our lives to God. We cannot obey God’s standards. We cannot overcome the evils of this world. We cannot thwart the devil’s schemes. We cannot establish God’s rule on earth. In fact, we love our sin too much! This is why Jesus does all these things for us! He does it that we might be accounted as righteous, even though we are not (Rom 3:25). And, he comes to live inside us and empower us to live according to God’s desires, even though within our own power, we have no desire to live for him (Gal 5, 2 Cor 3:17-18). Apart from Jesus, we can do nothing (John 15:5). So, if our lives do not revolve around Jesus as the center, the one who enables sinners to be justified, sanctified, and glorified (1 Cor 1:30), we have missed it. We have missed the point and purpose of Christianity. Because, it’s easy to aspire to do a lot of good things: to commit their lives to God. To live obedient lives. To love our neighbors. To love Jesus. To read the Bible. To go to / commit to church. To pray. To love our husband / wife better. To raise our kids better. But unless Jesus is at the foundation of those things, fulfilling, enabling, empowering us to do them, we will fail. We will ultimately burn out, quit, and move on to something else we think we can do. Because apart from Jesus’ death and resurrection power, we have no ability or desire to actually do anything good or righteous. What we must understand is that Jesus fulfilled all that we could not do, in order to justify and empower us to do those very things. 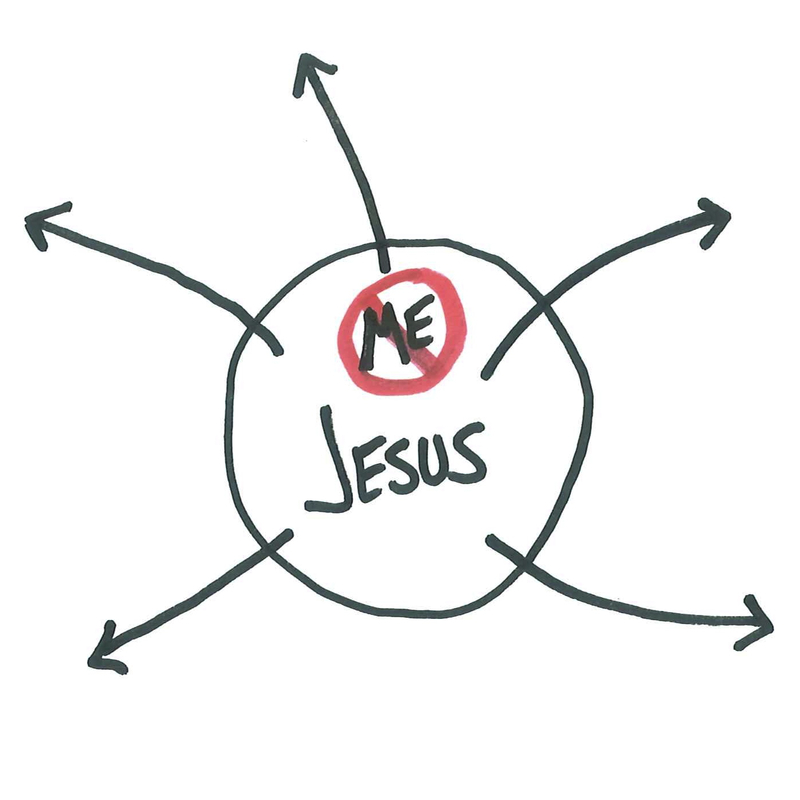 Jesus’ work for sinners has to be at the center. Otherwise we will be at the center. Michael Horton says that if we do not have Jesus’ work at the center, we will ultimately believe that “we are not really helpless sinners who need to be rescued but decent folks who need good examples, exhortations, and instructions… [This mindset is] not a modern innovation, but the default setting of the fallen heart ever since the fall. No one is ever taught [it]; rather, we have to be taught out of it”. The fact is, we are helpless sinners, always and hopelessly in need of Jesus’ righteousness. We cannot nor will we ever earn God’s approval, which is why we are always in such need of the One who can and already has. As Paul says, “Christ Jesus…became to us wisdom from God, righteousness and sanctification and redemption” (1 Cor 1:30).